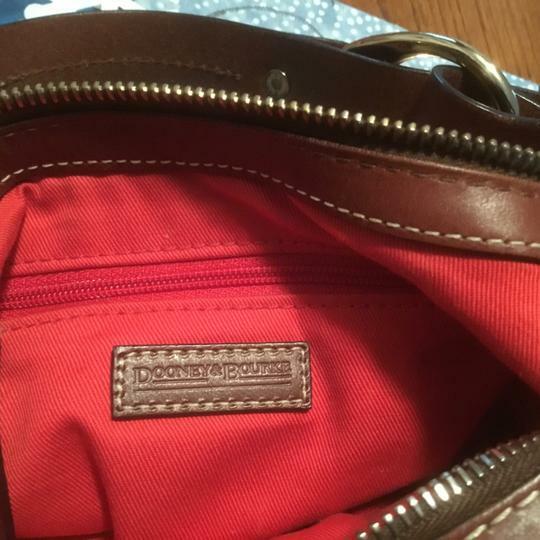 Upon close inspection very light wear to piping on bottom of bag. 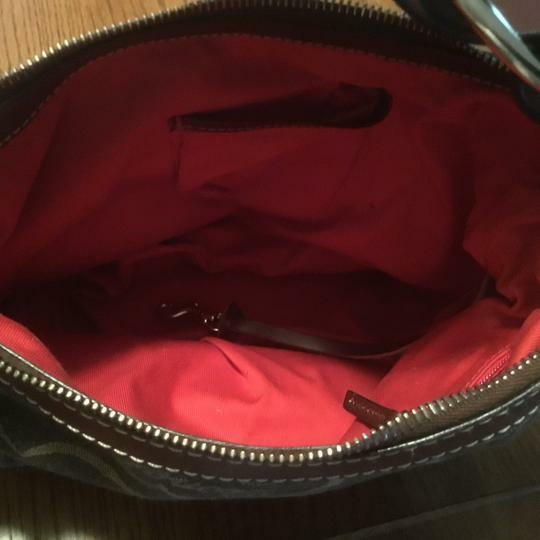 Normal signs of aging! 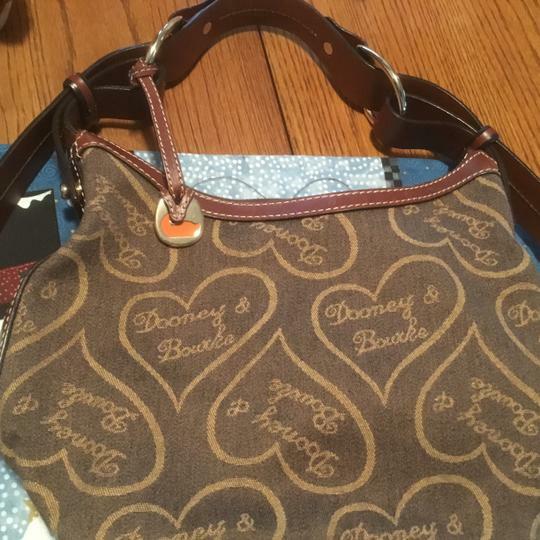 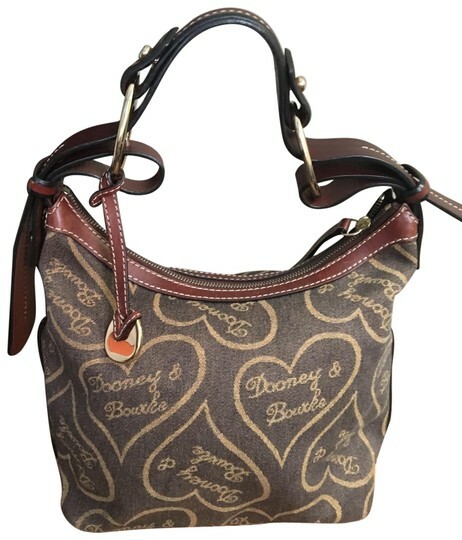 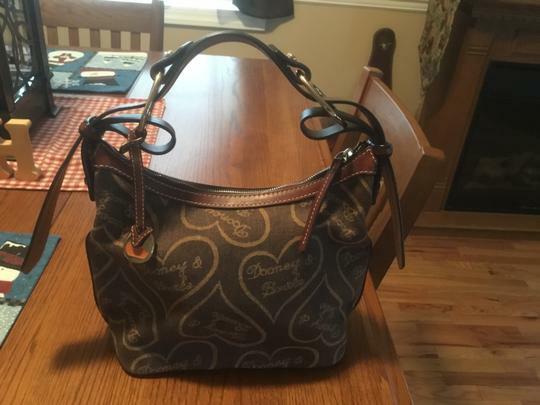 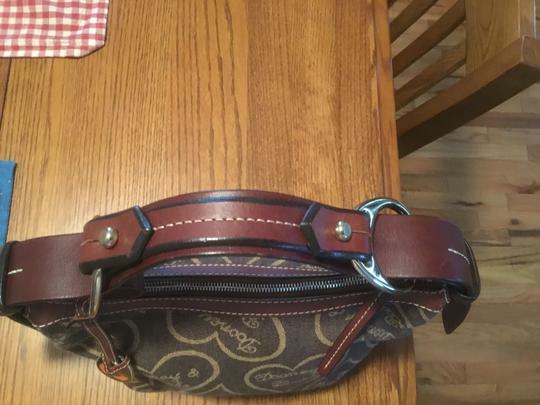 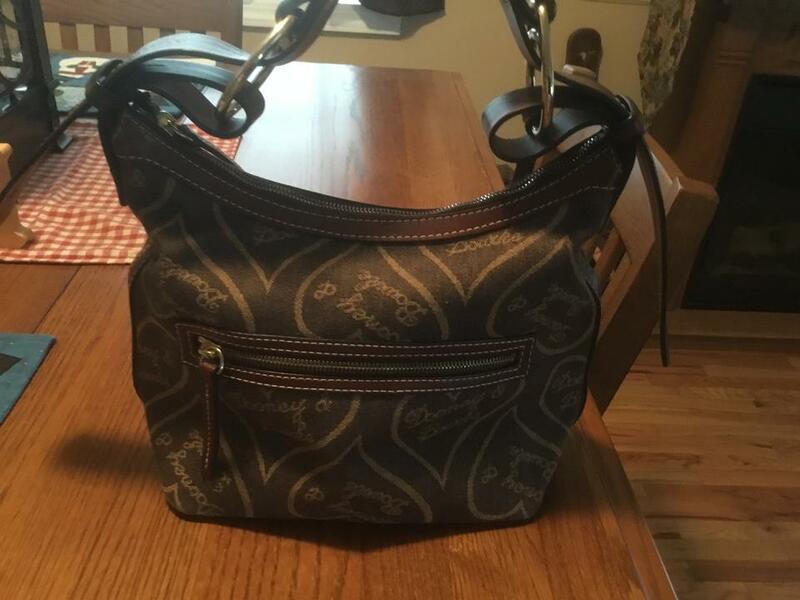 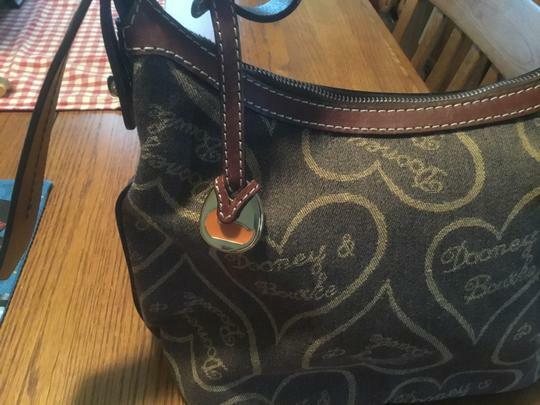 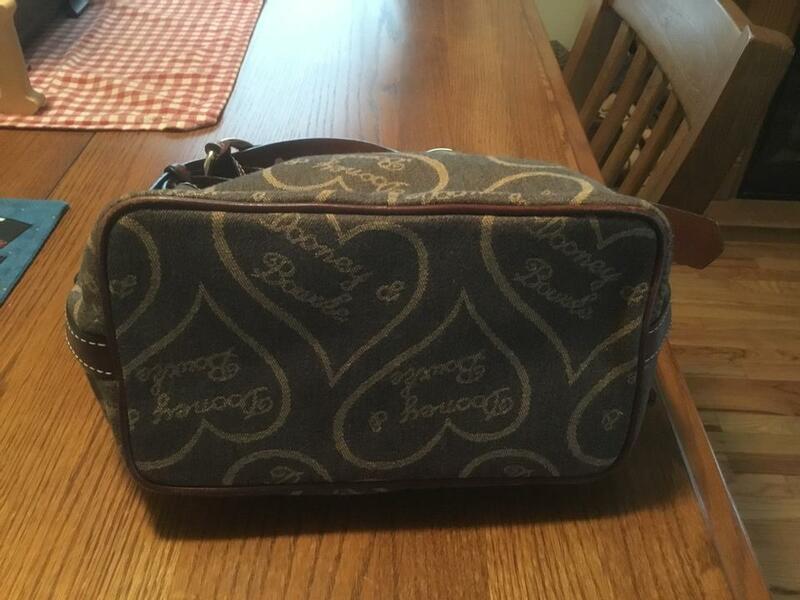 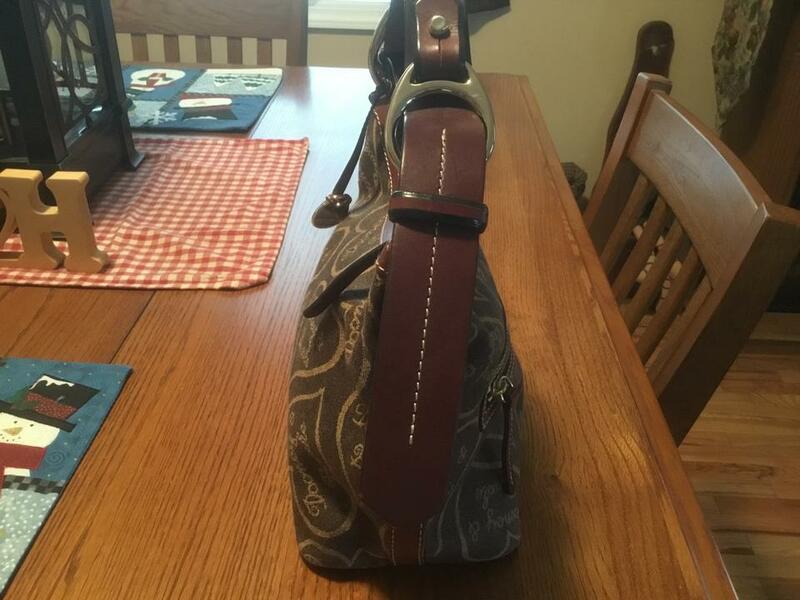 Beautiful authentic Dooney & Bourke logo heart hobo bag in excellent condition! Very gently used signs of wear to piping on bottom if u look up close! 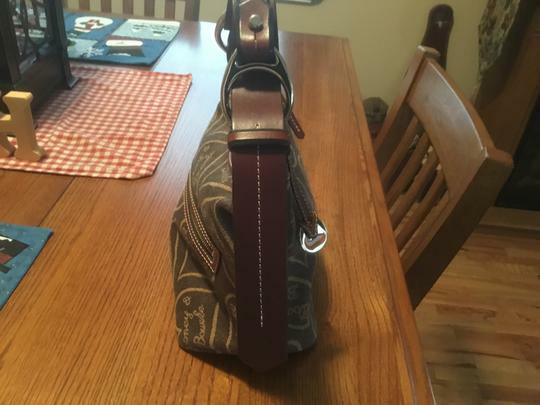 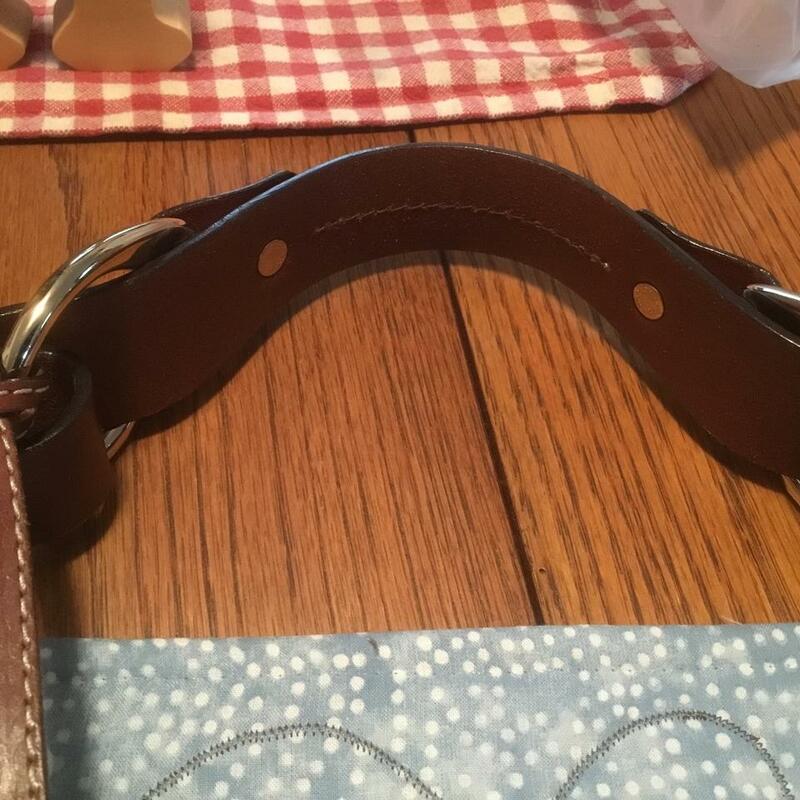 Gorgeous dark brown/cognac leather handle and trim. 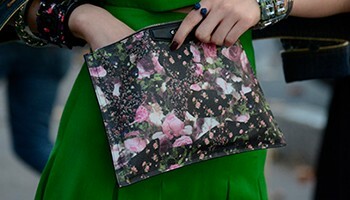 No feet, no dustbag.